Packaging Details: Export standard iron bound bale packing. 300 Sacks / Bale. - Size : 44" X 26.5"
Used Gunny Bags (Amul Mark): These are the bags which are being used by AMUL Union and are resaled. Pareshkumar Balgovinddas Patel & Co.
We offer high quality range of Gunny Bag. It is lighter than sacking cloth due to finer quality. It is fabricated from good quality jute cloth that is dyed in multiple vibrant colors to give it an attractive appeal. It is used for packing food grains and various products. We offer our range at market leading prices. 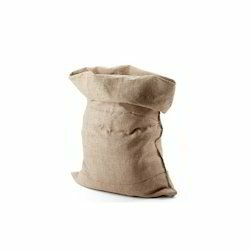 In order to meet excellent quality standards, we are supplying Used Gunny Bags.